It looks like mixed of bags. Few Happy Patients, a lot of unhappy patients. what is the truth about fue megasession? » It looks like mixed of bags. » Few Happy Patients, a lot of unhappy patients. » what is the truth about fue megasession? I was probably one of the first FUE megasession patients ever. The results where overwelming compared to my previous strip operation. At our institute we took years to evolve from smaller sessions to FUE megasessons. FUE megassesions dont come easy, it takes enourmous dedication and daily practice. FUE in the hands of experts (not the docs who do it just once or twice a week) will give you the same result as a well done strip surgery. 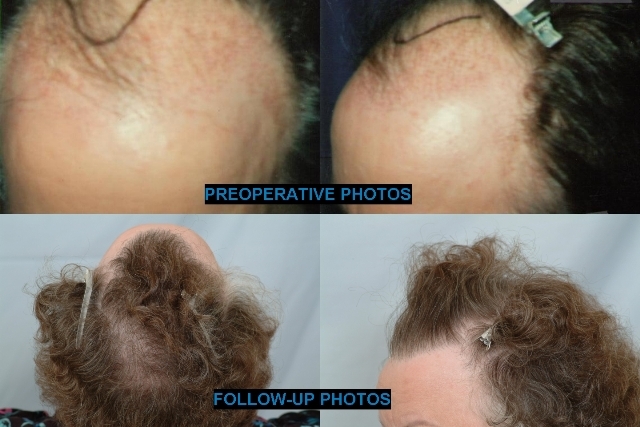 FUE megasessions will yield same number of grafts as an average size strip surgery. For people with poor laxity FUE will be able to produce far more grafts than with strip. » more grafts than with strip. I have still yet to see the strip equivalents of 5000+ fue role out as you promised. » » more grafts than with strip. Just wait and see. We did only start doing 3000+ sessions since last year. Have some patience, we can not force 12 months ! I am in contact with the 3000+ patients and they report that all is going very well. Anyway, maybe you can start guessing on the next top doc name that is going to switch to FUE (or at least starts offering it). I do not argue with the blogs, but I do see that most of these guys had substantial original hairs in the transplant area before the session. Furthermore an extremely high number of grafts have been used for a small area. This looks awesome now, but everyone with a little knowledge of HT knows this could have some implications on the donor bank reserves in respect to further hairloss. I must assume they have been FULLY informed about their future options if they should continue to a high NW level. Ps : some of these guys would have been turned down in our institute (and most likely some other institutes as well). Are there a lot of cases of FUE megasessions where the patient is unhappy? Where can I read more about this? We have had consistent successful results with FIT regardless of whether the graft count qualifies for a “megasession” or not. It shouldn’t matter if you transplant 300 grafts or 3,000 - the growth rate should remain consistent. There have been some studies that suggest other factors can compromise growth rates - like the density that you place the grafts, time out of body, storage solutions and temperatures, transection rates, etc. But, I havent’ seen any studies relating the size of the procedure to growth rates. Is your goal to cover a large area? With the right doctor, you can achieve good results with either strip or FUE/FIT or a combination of both. You should be able to talk with your doctor freely about this and any other concerns you have before making any decisions. » » It looks like mixed of bags. » » Few Happy Patients, a lot of unhappy patients. » » what is the truth about fue megasession? » Are there a lot of cases of FUE megasessions where the patient is unhappy? » 3,000 - the growth rate should remain consistent. » achieve good results with either strip or FUE/FIT or a combination of both. » other concerns you have before making any decisions. I believe however it is in some peoples interest to question FUE as to create confusion about wether or not FUE or FIT can be used in large sessions. » » » It looks like mixed of bags. » » » Few Happy Patients, a lot of unhappy patients. » » » what is the truth about fue megasession? » » 3,000 - the growth rate should remain consistent. » » other concerns you have before making any decisions. But curiosity is normal from clinics and individuals that don’t have experience with FUE. I think that through questioning we can simply provide the answers to clear the confusion. As we work with techniques that are newer and not readily available in every clinic, there are going to be things unknown - things that are not common knowledge as of yet. We must sometimes take on the role of educators to make it known in the industry what our techniques can truthfully offer. define FUE megasession? over 3000 grafts? » define FUE megasession? over 3000 grafts? A FUE/CIT mega session is a session where 3000+ grafts are transplanted. We have noticed that dense packing can cause a lower yield in some cases. 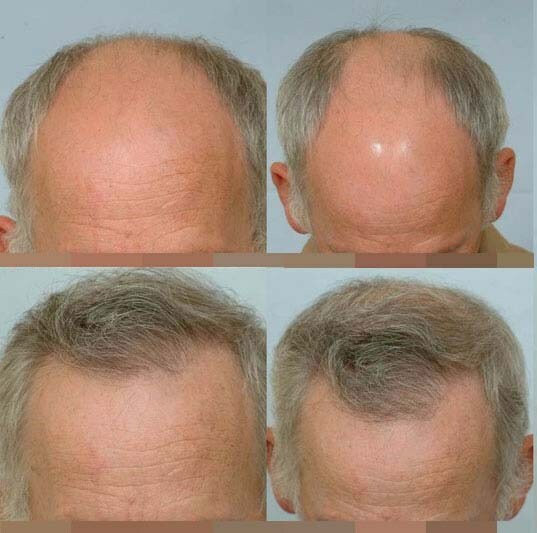 The purpose of the “MEGA SESSIONS” can be more suitable for patients who have a (higher degree of hair loss) Norwood 3A to 4A hair loss pattern. Remember that there is always the possibility of shock loss which isn’t always permanent but can occur. Therefore, a mega session would not result in a more noticeable difference if the patient was a Norwood 2 patient. It’s really the goal of the patient that would determine the appropriate treatment plan or benefit of a FUE/CIT mega session. Treatment plans can consist of 3 sessions of CIT over a two year span or a single mega session at once. Patients should have the right to know the advantages of each approach. They also need to be told by and ethical physician that they can save their hard earned money and donor area as well. Yield is in the eye of the beholder in almost every case. If a patients’ hair loss is a NW 3V could possibly progress into a Norwood 5 then it could be more beneficial for the patient. If a patients’ hair loss is currently a Norwood 2A then it would likely be a waste of donor FUs and not in patients’ best interests in regard to further loss. » » define FUE megasession? over 3000 grafts? » A FUE/CIT mega session is a session where 3000+ grafts are transplanted. » We have noticed that dense packing can cause a lower yield in some cases. That’s interesting. CIT is touted as being a method of extraction and should not differ in the recipient area. Sinse the strip docs like Armani and H&W do not have a problem with dense packng / densities of 60fu/cm2 then I asume thAT THE QUALITY OF cit MUST DIFFER IN TERMS OF THE EXTRACTED UNIT COMPARED WITH GOOD STRIP. » » » » It looks like mixed of bags. » » » » Few Happy Patients, a lot of unhappy patients. » » » » what is the truth about fue megasession? » » » define FUE megasession? over 3000 grafts? » UNIT COMPARED WITH GOOD STRIP. Our surgical staff recently performed a CIT session where the harvested grafts averaged 4.1 hairs per follicular unit extracted today. The average with strip surgery is 2.0 hairs per follicular unit and with CIT it is 2.7 hairs per follicular unit. CIT is the Cole Isolation Technique. In CIT, the extracted grafts are harvested intact then placed on the recipient. The grafts are then placed in-tact where needed on the scalp to achieve the most natural result. The result on the recipient area is dependant on the artistic ability of the FUE/CIT surgeon and experience of the whole surgical staff. If an individual is trying to decide between strip and CIT then one must consider the uncomfortably of the linear scar along with the greater healing time. In strip, the grafts are cut from the strip along with fat. These grafts may require the recipient sites to be made larger to accommodate fatty tissue of the grafts. Devices (scalpels) used at most strip clinics are wider than the instruments used in our clinic. Strip technicians usually fractionate larger follicular units into multiple small grafts so that you eventually pay two and three times for one follicular unit. » » UNIT COMPARED WITH GOOD STRIP. » eventually pay two and three times for one follicular unit. That was not an answer to the question it was a long rambling sales pitch. Can you dense pack or reach the densities of strip clinics? Importantly what IS the limitation in terms of density with CIT that you mention and what are the studies that you refer to regarding the problems that you have with dense packing. If you are trying to say that you plant less follicles but more hair then let’s see the source of your info otherwise it is just the same kind of unsupported bull that we have seen from the worst hair mills for so many years. » » » UNIT COMPARED WITH GOOD STRIP. » » eventually pay two and three times for one follicular unit. » That was not an answer to the question it was a long rambling sales pitch. » mills for so many years. Yes. We we can match strip densities. Most strip harvested grafts have fat on them. This additional fat takes up volume. With FUE, we have no fat so we do not have the extra volume. This extra volume can cause a couple of problems. One is ridging. The other is that they take up space in an already small incision site. Therefore, fat in a small incision site can make the placement even more traumatic. Even with no fat, we find the most comfortable density for my full size grafts is 40 to 50 per sq. cm. We go higher, with single hair grafts, or well trimmed 2 hair grafts, but with full size follicular units, we average 45 per sq. cm. Most CIT cases occurr over multiple days. One of the tremendous advantages here is that we are able to go back into the area the next day or several days later and increase the density so full that it is not possible to squeeze in another graft without overlapping incisions. Our scalp grafts average 2.5 to 2.7 hairs per follicular unit. Strip surgery averages nearly 2.3 hairs per follicular unit. Therefore, smaller incision sites are more practical and we get the higher densities we need. The smaller the incision, the harder it is to place the multi-hair graft and the more traumatic it is to place the graft. » make the placement even more traumatic. I wonder what Hasson and Wong would say in response to this. » substantial original hairs in the transplant area before the session. » respect to further hairloss. » they should continue to a high NW level. » most likely some other institutes as well). I agree wholeheartedly. Many of those Armani results look exceptional NOW, but those patients will be cursing his name if they don’t have a successful regime OR if we don’t find a cure for hairloss in the near future. Let’s face it, these people went to Armani because they’re balding, and surgery won’t change that fact. They were balding before the surgery, and they’ll continue balding after… only now with a greatly diminished donor supply. I guess that it all comes down to a quality of life issue WHILE you continue this balding process. 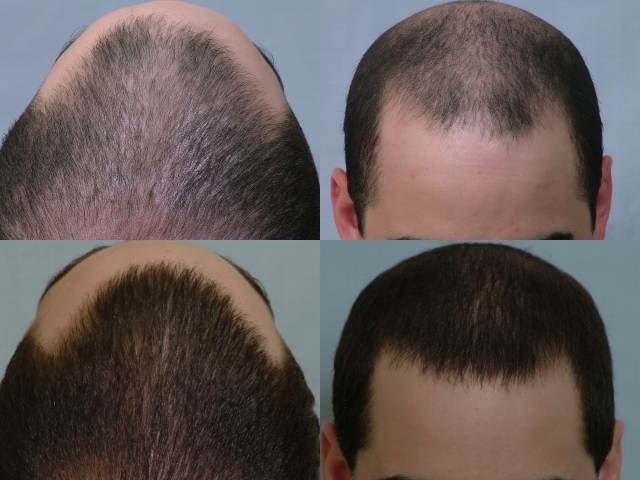 If the patient is younger and has diffuse thinning and dense packing in his thinning areas leads to a better quality of life in the near term, then he has made the right decision. With every dense packing/dense hairline result I have seen posted on this forum, there is always at least one poster who says something to the effect “well, it may look good now, but what about when he is in his sixties?”. This always makes me pause and think about it. Which would I rather have? A dense hairline in my 30’s, 40’s and even 50’s, or, sit here and do nothing about my hair loss because others have said that I will be sorry in 30 years? It all depends on which portion of your life you would consider to be the most “important” as far as enjoyment and happiness. I, for one, would choose the dense packing in the hopes that there will be viable non-surgical treatments when I reach that point where the thinning has taken over and diminished the look of the dense hairline. » of life in the near term, then he has made the right decision. » sorry in 30 years? » taken over and diminished the look of the dense hairline. You’re assuming these people can maintain that density into their 60s. You also make it sound like life ( and interest in personal appearance) ends in ones 60s. You’d be amazed how many older gents obsess about their hair. Now don’t get me wrong. I’m not putting the blame solely on Armani; He’s outfit provides exceptional results, and it’s obvious allot of his clients have very discerning tastes. That’s not necessarily a bad thing, but the problem remains they will continue to bald while their demand for dense hair probably won’t. Unfortunately, there will come a time when their demand will out-strip their donor supply if not their pocket books. Let’s hope non-surgical treatments are around the corner, but until be know with no uncertainty than these hairlines are rather risky. You want to enjoy life throughtout your lifetime NOT just in your 20s. Point taken, but I could not disagree with you more if I tried. The 20’s thru early 50’s are “formative” years when you are attracting females, going for job promotions and forming relationships. These are the years of your life that you NEED to look and FEEL your best and most confident. After the age of 60, most are winding down their careers and looking to retirement. While confidence and looks may seem important at this time, they really are not. Most will have been married for twenty or more yaers and most will have grown children. While jokes about “baldy” grandpa are dinner table fodder, they really don’t mean all that much since most of “grandpa’s” contemporaries are also balding or bald. If you “read into” my post that I believe that life ends at 60, you are most certainly incorrect. The bottom line is that most of those who criticize Dr. Armani’s work are either those who can’t afford it, those who are very envious and bitter or those who just like to criticize those who have things that they do not or cannot attain.